Organizational Behavior in Health Care was written to assist those who are on the frontline of the industry everyday-healthcare managers who must motivate and lead very diverse populations in a constantly changing environment. Designed for graduate-level study, this book introduces the reader to the behavioral science literature relevant to the study of individual and group behavior, specifically in healthcare organizational settings. Using an applied focus, it provides a clear and concise overview of the essential topics in organizational behavior from the healthcare manager's perspective. 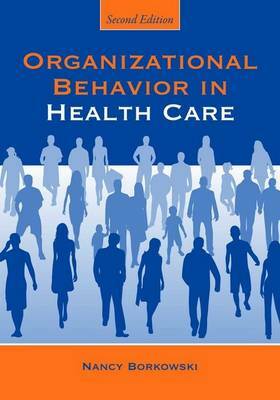 Organizational Behavior in Health Care examines the many aspects of organizational behavior, such as individuals' perceptions and attitudes, diversity, communication, motivation, leadership, power, stress, conflict management, negotiation models, group dynamics, team building, and managing organizational change. Each chapter contains learning objectives, summaries, case studies or other types of activities, such as, self-assessment exercises or evaluation.